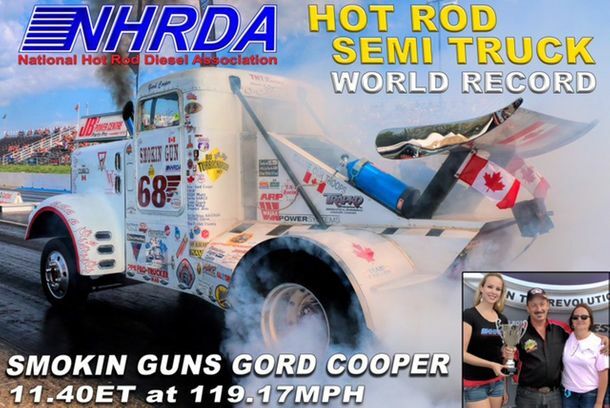 Hot Shot Trucking Calgary | O.C.E.A.N. Hauling and Hotshot Ltd. When you need reliable on-time transportation of oversized, heavy and delicate loads in Western Canada, turn to O.C.E.A.N. Hauling & Hotshot Ltd. We offer 24-hour hot shot trucking for clients in Calgary and throughout Western Canada. Our name is derived from the many industries we serve, as we deliver necessaries for: oilfields, construction, engineering, agriculture and aviation. 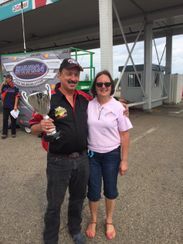 With an impressive fleet of well-maintained trucks and trailers, we offer the hauling and hot shot trucking services Calgary businesses and our clients throughout Western Canada depend upon. Established in 1981, O.C.E.A.N. Hauling & Hotshot Ltd. is a family-run business led by president and owner Gordon W. Cooper. We’ve provided dependable transport with an excellent claims record over the course of our long history. From construction materials to fuel tanks and heavy equipment, we can haul any sized load up to 45 tonnes. 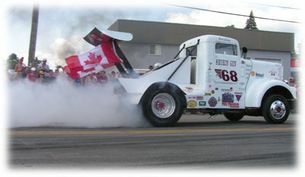 If you need last-minute hot shot trucking in Calgary, we can help. O.C.E.A.N. Hauling & Hotshot Ltd. is ready to serve you. Schedule our service today and ensure a safe and on-time delivery. At O.C.E.A.N. Hauling & Hotshot Ltd., we work hard and play hard, too. 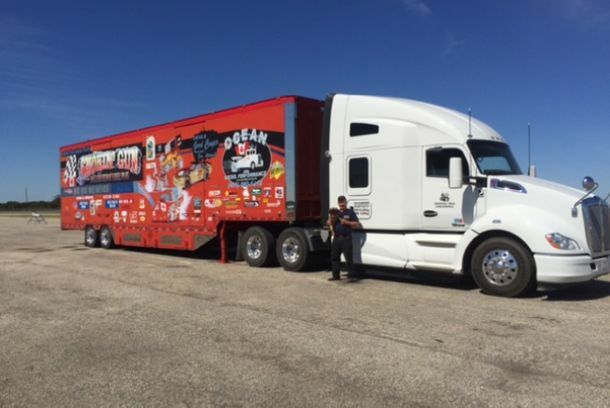 We invite you to learn more about our racing teams – Smokin’ Gun Racing and Peacekeeper Diesel Dragster. 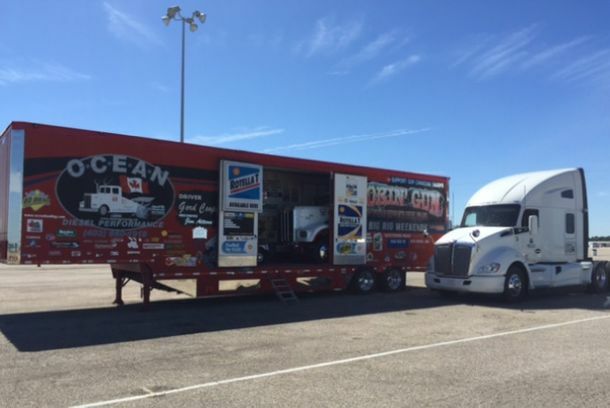 You can find us at diesel drag racing events, exhibitions and big rig weekends. Our transport services are available 24/7. Call us today for hot shot trucking. Our Calgary team will serve you across Western Canada.